At Kachay our passion is designing and building the finest luxury custom homes and estates. By using proven teams of architects, internal and external design experts and highly experienced construction managers, Kachay is able to create beautiful homes that stand the test of time. Each residential masterpiece captivates the senses in ways others strive for but never seem to achieve. 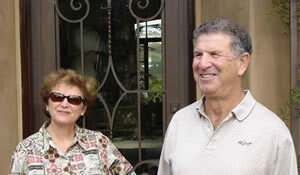 Kachay has been in the fine custom home building and land development business for over fourty years. Over twenty of those years have been based in the San Diego, California area. Kachay Homes designs and builds a limited number of luxury homes each year, mostly in Rancho Santa Fe and the surrounding areas. We choose the perfect site and design homes that are unique and timeless in their beauty. We welcome customers to work with us at any stage of the design and building process, from complete customization to buying a finished estate home on one of our choice sites. In addition to homes that we have in progress, we work with a select group of customers to design and build their spectacular custom home from concept to completion. Kachay has been awarded the Lillian Rice Award for Architectural Excellence. Lillian Rice began the design and planning of the Rancho Santa Fe community in 1922 and her work laid the foundation for the preservation and enhancement of the ranch's beauty. The award is presented to those who continue her vision of architecture blending with the natural surrounding, and for "remaining true" in architecture and landscaping to its original Spanish Revival style. On the land development side, Kachay has several sub-divisions and commercial properties in California, Michigan and internationally. 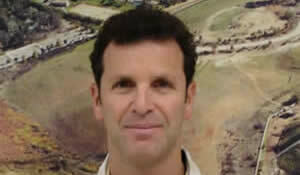 Sam Karp (Chairman) started in the home building business in Michigan in the late 1970’s. During that time he managed the successful development of many large projects of single family homes and commercial buildings. In the mid 1980’s he moved to San Diego California and started development of high-end luxury estates in the prestigious community of Rancho Santa Fe. At this time he also started the build-to-suit service for buyers who wanted to design and build their own estate homes. Ilana Karp (President, Kachay Homes) joined Sam to help manage this growing portion of the business. Gaal Karp (VP) joined Kachay California in 2005 and has been developing and managing multi-family apartment/condo conversions and new construction in Imperial County as well as serving as acquistions director in San Diego county. 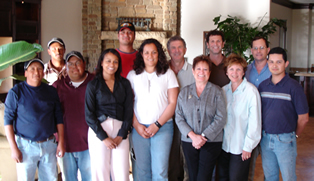 Throughout the 1990’s Gaal managed the development, construction and marketing of various tract housing subdivsions in Michigan.